External wall insulation, or EWI for short, is the most common way of insulating solid walls. 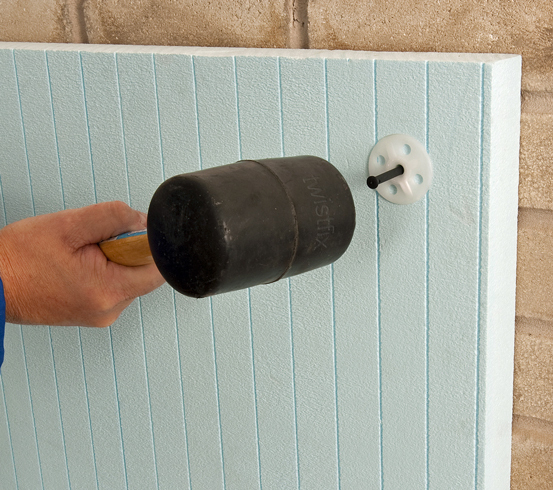 Insulated panels are fixed to the outside of the wall with thermally efficient mechanical anchors made from plastic. These synthetic fasteners are supplemented by a lower number of stainless steel anchors that offer fire resistance. A special render system is then applied to give the required protection and cosmetic appearance to the outside of the house. Before using EWI to insulate a solid wall, or one with a narrow cavity, one should make sure that any areas of fractured brickwork are sealed and the cracks stitched with stainless steel rein­for­cement. Internal wall insulation is another option for those wanting to insulate solid walls. This option is most often chosen where the house holder wishes to retain the original facade of the building. London is full of buildings constructed with solid walls having an attractive outer facade. Accordingly London is the area where insulated plasterboard laminates are most used to improve the thermal efficiency of solid-walled houses. 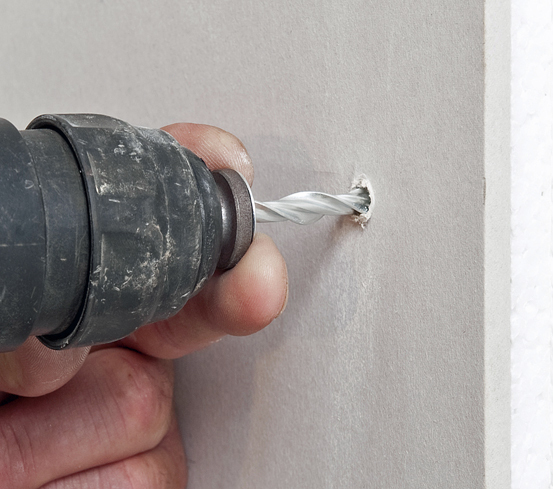 Most plasterboard laminates are fixed to the wall using dot and dab adhesives that, in order to comply with BS8212:1985, need to be supplemented by 2 or 3 fire resistant mechanical fixings. 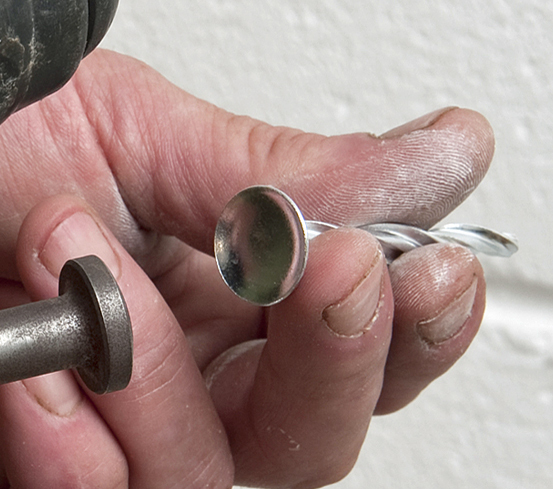 Twistfix supply a range of versatile plasterboard fixings which can be used to complement dot-and-dab or to completely replace it. 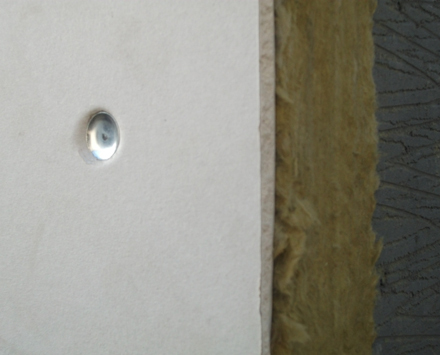 Twistfix Drywall Insulation Fixings are available in high-grade stainless steel which, being four times less conductive than the carbon steel variety, creates a huge reduction in cold bridging as well as protecting against corrosion potential from interstitial condensation. 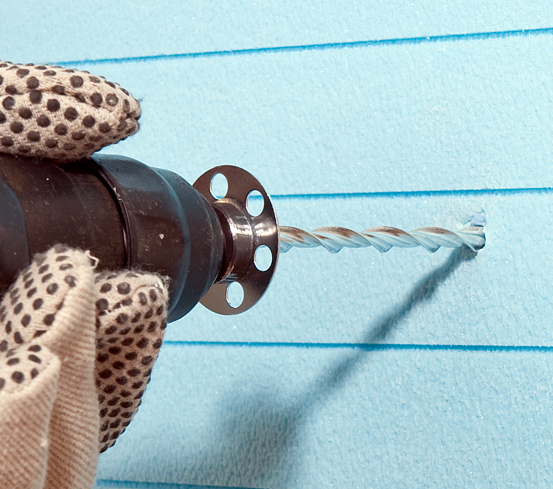 The products are designed for fixing both foam and mineral wool insulation to masonry walls using a rubber mallet or a setting tool secured in a lightweight SDS drill. Once installed, the fixings will securely hold the insulation sheet in place on stone, concrete or brick thanks to the helical shank while the dished head compresses the gyproc layer without causing surface tears. For those fitting solid wall insulation and working to a tight budget a galvanized steel version of the plasterboard anchor is available. If you are planning to renew more than half of the internal plaster or external render of a wall then current Building Regulations require you to fit solid wall insulation to achieve a U-value of less than 0.30 W/m2K, whether you were planning to insulate or not.